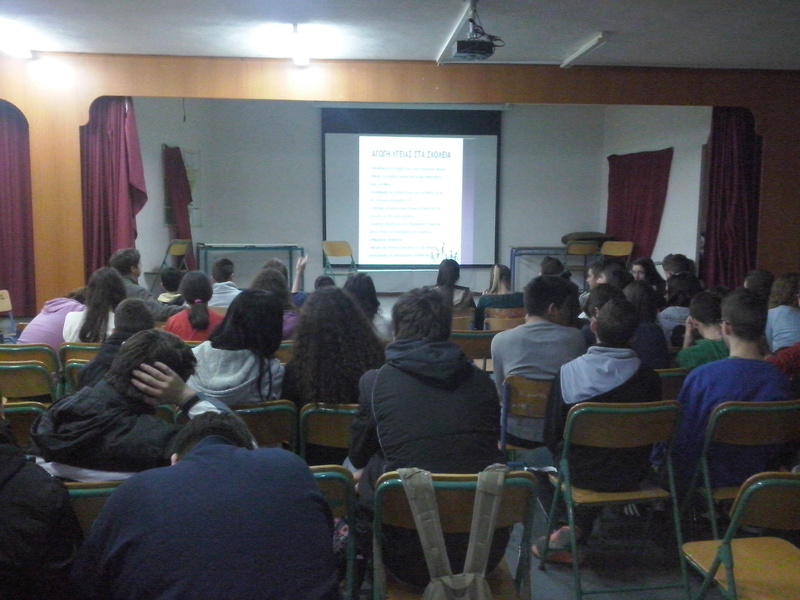 On Wednesday 27th of February in the amphitheatre of the 11th junior highschool of Ilion, pupils of C class were informed on the topics of Sexual Education / Upbringing by the Hellenic Association of Family Planning, Contraception and Reproductive Health, a concerted action of the European Programme COMENIUS REGIO ARCADIALOGUE. The event was attended by DI.D.E. 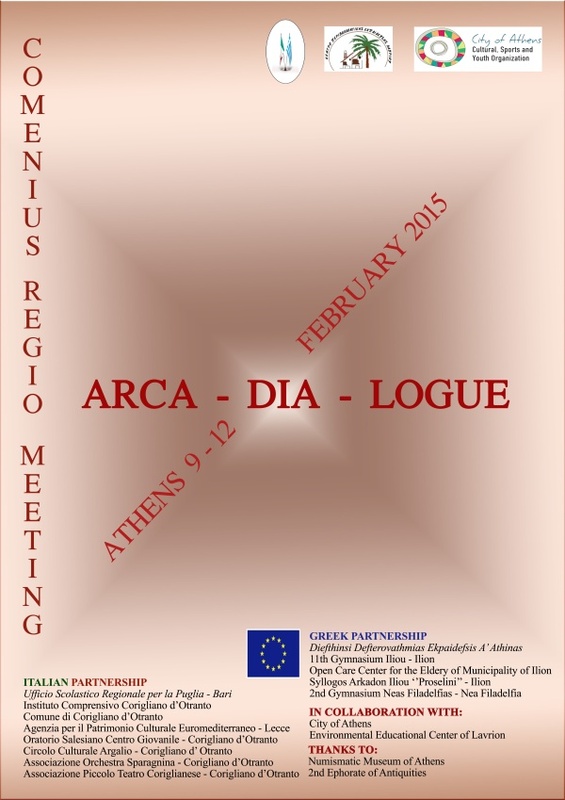 A’ Athens teachers and school directors as well as by local authorities ►Topic: “Cultural heritage, socio-economic changes, and the role of both in school life, Part 1” ►Chairman: Dr. Leonidas Mantzos ►Coordinator: Dr. Dimitra Macri ►Speaker: ●Dr. Franco Inglese ●Dr. Theano Terkenli ●Dr. Leonidas Katsiras ●Dr. Maria Lountzi, Dr. Georghia Trabidou ●Ms. 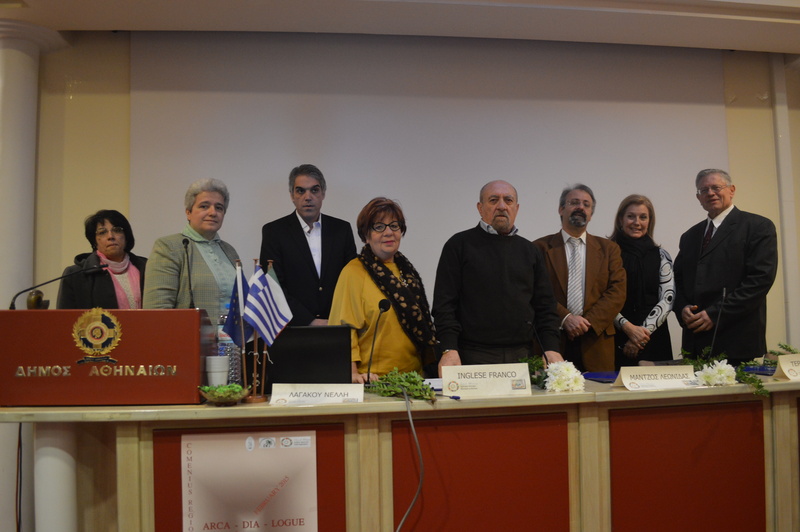 Panaghiotis Dafiotis, Ms. Ekaterini Kolovou ●Ms Elpiniki Katsari, Dr. Grigorios Polymeropoulos ●Ms Maria Avramidou, Mr. Kyriakos Latta, Ms. Vassiliki Manola ●Ms Xanthi Vafiadaki, Aikaterini Sarkou, Irini Malliarou ►Salutations: ●Μr. Christos Tentomas ●Ms Fotini Kaymaki. 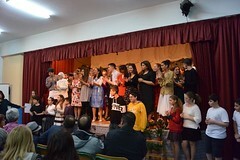 On Wednesday evening, February 11th 2015, the 2nd Junior High School of Nea Filadelfia hosted, in its ceremony hall, a performance of the school stage group presenting the last part of the fairy-tale “Views and Snapshots of our Old Athens” in the framework of the European partnership “ARCA.DIA.logue:Our path to awareness of our cultural,regional and historical heritage”. 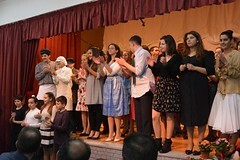 The educators of the school Mrs.Catherine Sarcou and Mrs.Xanthoula Vafiadaki took care of the scenario and the stage direction of the theatrical synthesis. 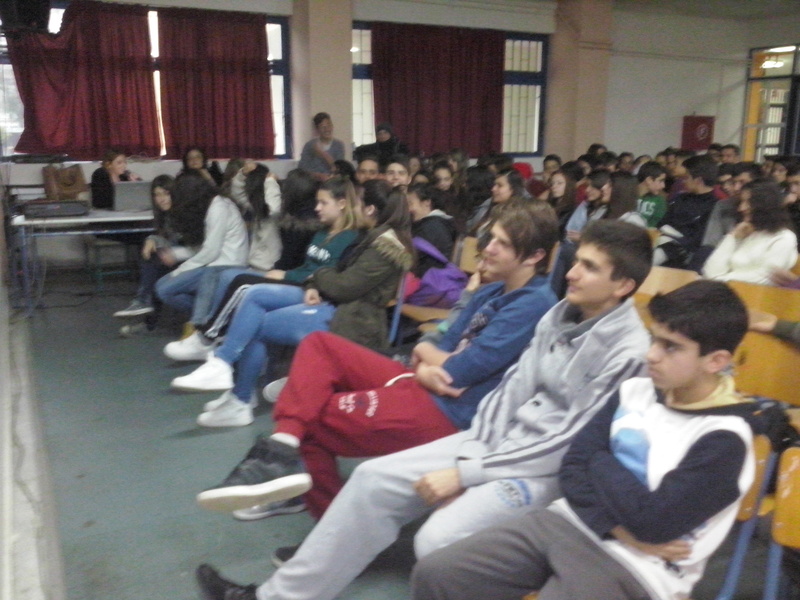 Mrs.Marina Katsafadou, the foreign languages’teacher of the school, translated the theatrical synthesis texts in english and the assistant headmaster of the school Mrs.Irene Malliarou was responsible for the E-support of the whole programme. The Director of the 1st Directorate for Secondary Education of Athens(DI.D.E.A’Athens) Mr.Mantzos, the Coordinator of the Comenius partnership ARCA.DIA.logue and the school adviser responsible for this school Mrs.Dimitra Makri, the Substitute Director of the Regional Office for Education of Puglia(Dirigente Vicario Ufficio VI.Politiche per gli Studenti USR Puglia) D.essa Anna Cammaleri,a member of the Italian delegation, and the Director of the 2nd Junior High School of Nea Filadelfia Mr.Socratis Vorghias greeted the event. -Scenes of an old Athenian neighbourhood’s daily life. -Slides presenting professions of that period(slides showing a retailer, a shoeblack, a chestnut-seller, an ice-seller, a roasted chick-peas seller, a man selling milk, a pitcher-seller, a salep-drink seller, a barber). -Slides showing some typical characters of old Athens. -Some choreographies of the old greek cinema were also presented. -There were also scenes presenting the high society’s life at that period. -Scenes presenting a contemporary young couple who criticize and make comments on the way of life in the past. The husband (Pavlos) and his wife (Sylvia) also make judjements and comments on the present life. -There was the end of the fairy-tale as well. 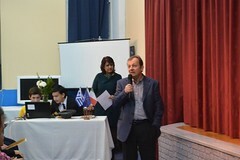 Parallel with the theatrical action, an exhibition entitled “Our students collaborate with a traditional artist” was hosted in the building of the school. 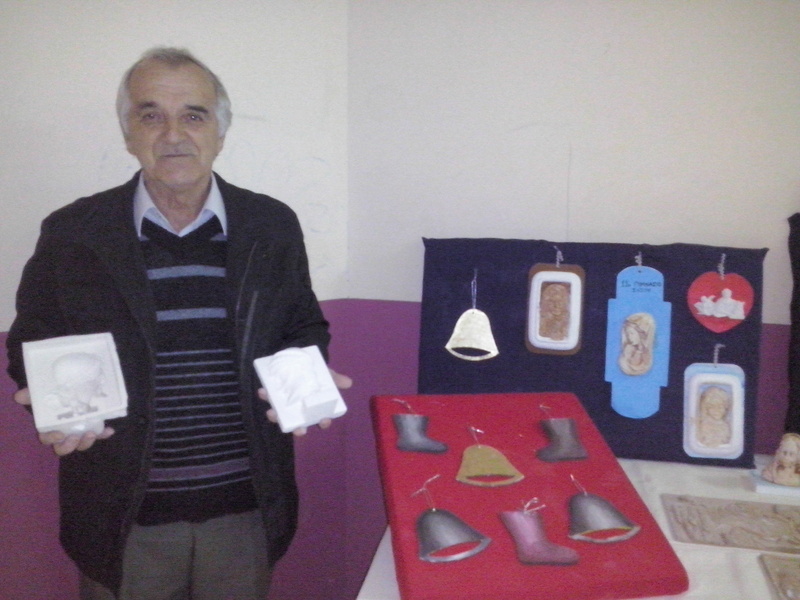 Mrs. M.Avramidou, a teacher of the 11th Junior High School of Ilion in cooperation with the traditional artist Mr. Andreas Triandafyllopoulos, took care of this exhibition. 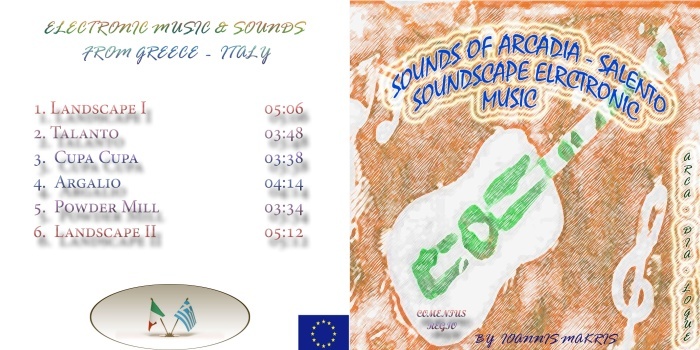 The text was created by Mrs.Catherine Sarcou and translated by Mrs. Marina Katsafadou. You have the opportunity to look at some photographs taken during the performance. 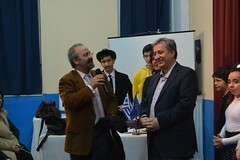 On 11th of February, during the international meeting of Comenius Regio ARCADIA.logue and in parallel with the theatrical action “Views and Snapshots of our Old Athens” performed by the 2nd junior highschool of Nea Philadelfia, an exhibition organised by the 11th junior highschool of Athens was hosted in the same building. 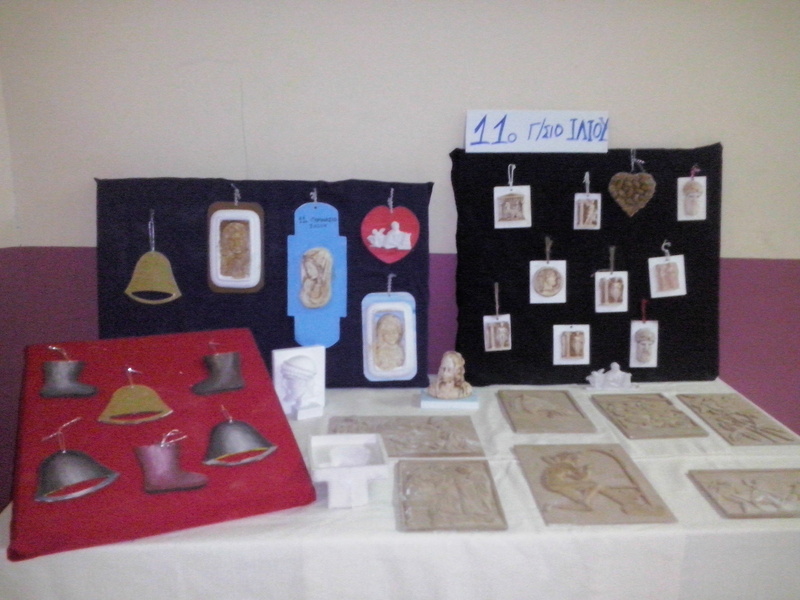 The exhibition included hand made items and relieves made of plaster and wood prepared by the environmental team of 11th jr high school of Ilion under the supervision of Mr Andreas Triafillopoulos, traditional artisan of woodcraft, painter and member of 2nd KAPH of Ilion and the Arcadian Association of Ilion that participate in the European programme ARCADIALOGUE as well.